Activeskin.com.au is an awesome online retailer for those Aussies who want to access the best deals in skincare, haircare and of course makeup all from one location. They are an Australian owned and operated business, so shipping is lightening fast from within Australia which is a huge plus for any of you reading who are like me and track your parcels via Australia Post with high anxiety levels for fear they may not arrive! I hadn't actually used this website before but was offered the opportunity to trial some new products and get a feel for this online boutique and welcomed the opportunity so I could share my thoughts with you! Activeskin offer same day shipping if your order is completed before 2pm and they offer free shipping for orders over $95. As always my opinions are 100% honest and my own. Activeskin carry popular brands such as Dermalogica, Gorgeous Cosmetics, Napoleon Perdis, Butter London, Eye of Horus, Alpha H, Medik8, OPI, Lancôme and many more!!! 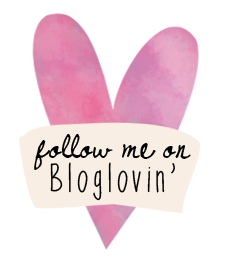 I was lucky enough to receive a package from Gorgeous Cosmetics containing three lovely makeup products which I will detail below with my first impressions! I received the Gorgeous Cosmetics Tangerine Dream Collection valued at $109 AUD. It is part of a special promotion where you can receive this stunning collection when you spend $95 AUD or more on Gorgeous Cosmetics products through Activeskin with code: MAKEUP. It's a great deal if you haven't tried the brand before. They are excellent quality and there is a great range of products. 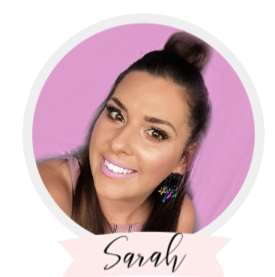 I don't know if I have chatted to you about Gorgeous Cosmetics here on the blog but I used to visit their HUB Makeup Store in Brisbane quite often and I'm a big fan of their Blushes, Lipsticks and their Base Perfect Liquid Foundation. This collection comes packaged in a cute little box and has an orange theme. It comes with a Lipstick, Lip Pencil and Bronzer so for $109 AUD or free with a $95 AUD purchase, it is a great value! I'm a big fan of orange-based red lipsticks so I was excited to see this as part of the collection. A bright orange-red lipstick with the classic black metal packaging and contrasting Gorgeous Cosmetics logo. I have always found these lipsticks to have a great colour pay off and I own several of them in my collection. This one was no different and the swatch you see below is just from one quick swipe, showing you how pigmented these really are. This lipstick is creamy and comfortable to wear. The formula contains castor seed oil and sesame seed oil so they actually hydrate the lips, while the colour is still able to last for a good 5 hours on me before needing reapplication. The lip pencil is much more orange than the lipstick but would still complement it beautifully. I like having a variety between my lip pencil and lipstick because sometimes I may just want to wear either on their own or have the option to layer both when I want. I tend to be lazy most days and not even use a lip liner. This one is just a regular lip pencil that needs to be sharpened but it has a lovely creamy formula so it doesn't tug on the lips yet still lasts well. I really like this matte, true brown bronzer and it's perfect for those that like a good contour. This shade is a medium brown so I'm not sure if it would suit those that are quite pale but if you use a light hand it will apply more sheer and can be built up to your desired consistency. This is one of the most true matte bronzers I've ever tried, so if you don't like shimmer, you would love this one! Overall, I was really impressed by this collection from Gorgeous Cosmetics and it reminded me how much I enjoy this brand and should continue to use their products! It was also great to have the experience of ordering from Activeskin.com.au and I would highly recommend this site to anyone who is looking for a good deal on makeup, skincare, and haircare all in one central location. Have you heard of Activeskin? Made an order? I'd love to know your thoughts! Please also let me know if you like/dislike or have heard of Gorgeous Cosmetics as well! I may do a brand spotlight post in the future if you're interested.